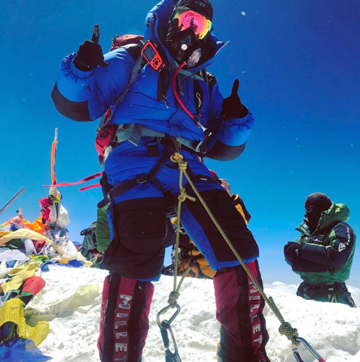 Thuraya recently worked with service partners Talia and NBS Maritime to sponsor and support two climbers — Holly Budge and Dr. Atanas Skatov — in their summit expeditions to Mount Everest. Both Ms. Budge and Dr. Skatov completed their missions successfully and were able to stay connected with wireless data via Thuraya IP+ satellite terminals throughout their steep trek. Bulgarian alpinist Dr. Skatov similarly summited Everest on May 21, 2017. Dr. Skatov achieved his second-time Everest record a mere six days after becoming the first vegan to scale the rough trails of Mount Lhotse. Equipped with remote streaming via the IP+ terminal, Dr. Skatov was also able to stay constantly in touch with the basecamp and share stunning 360-degree videos of his journey. 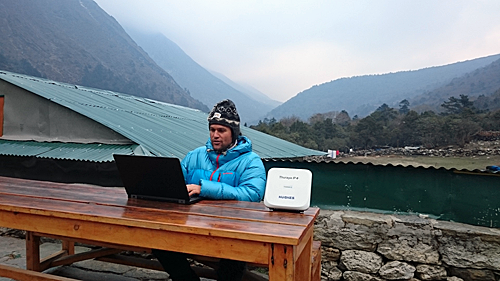 Thuraya regularly serves adventurers around the world with broadband offerings such as Thuraya IP+. Designed to support mobility and remote data coverage, the IP+ is portable, lightweight and can be deployed from backpack to broadband within seconds. Thuraya’s work lies in pioneering satellite technology to deliver communication capabilities at all times to everyone, everywhere. The company ensures that people on critical missions can stay safe with swift voice and data access to teams, family and friends, and works with global service providers to make flexible and reliable products that best meet the specific connectivity needs of its diverse customers.